KIM LAWTON, correspondent: Some evangelicals have raised questions about Donald Trump's character, the strength of his conservative convictions, and his rhetoric. Hoping to address those concerns, Trump will hold a private, invitation-only meeting with about 500 evangelical leaders on June 21st. One of those involved with the meeting is Ohio pastor and Christian broadcaster Frank Amedia. Amedia has just been named the Trump campaign's "liaison for Christian policy," a volunteer position. He says the agenda of the meeting will be simple. PASTOR FRANK AMEDIA (Touch Heaven Ministries): I believe it will be dialogue: that they will hear his heart, that they will be able to make decisions based themselves upon seeing the heart of the man, not through the media, not through campaign stumping, but face to face. LAWTON: Amedia leads the nondenominational Touch Heaven Ministries in Canfield, Ohio. 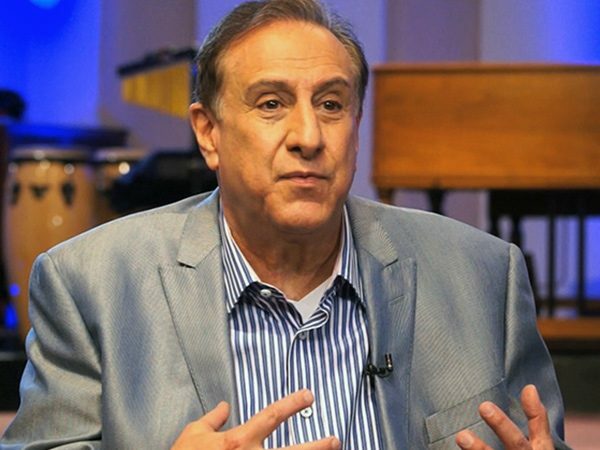 He is part of the charismatic Christian movement, which emphasizes spiritual practices such as speaking in tongues, prophecy, healings, and other miracles. He believes, in the end, evangelicals will support Trump. AMEDIA: When you look at the issues, there's no doubt that the contrast is clear. It's not gray. It's very clear that Trump stacks up more on the line with our Christian fundamental doctrines and concerns than Hillary or Obama do, or they have. LAWTON: Last week, Amedia attended the National Hispanic Christian Leadership Conference or NHCLC's convention in California, attended by more than a thousand Latino evangelicals. Pre-taped videos from both presumptive nominees were shown. In a video shot on his jet, Trump focused on economic issues. DONALD TRUMP (in video): We're going to take care of minority unemployment. It's a huge problem. It's really unfair to minorities, and we are going to solve that problem, and we're going to solve it once and for all. LAWTON: He made no religious references, although he praised the NHCLC. TRUMP (in video): National. Hispanic. Christian. Three great words. We're going to take care of you. We're going to work with you. You're going to be very happy. You're going to like President Trump. LAWTON: In her video, Hillary Clinton spoke of the need to support families and said she would push for comprehensive immigration reform. She also talked about her United Methodist faith. 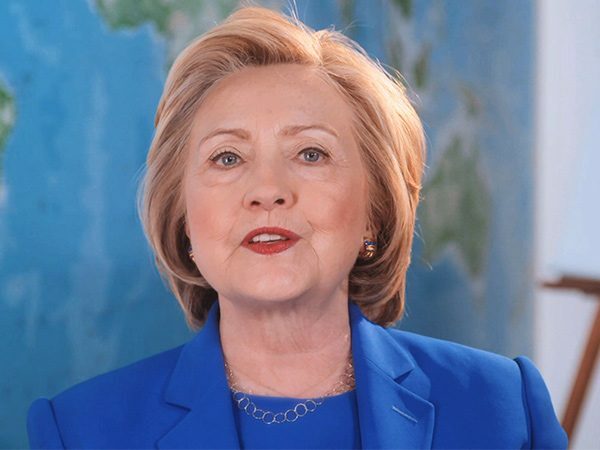 HILLARY CLINTON (in video): I’ve been a person of faith all my life, and the lessons I’ve learned from my family and church guide me every day of this campaign. 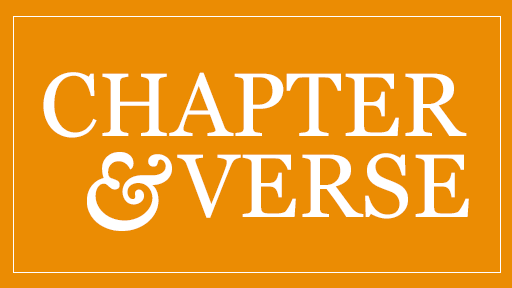 Many days, I find myself thinking about St. Paul’s letter to the Galatians: “Do not grow weary in doing good, for in due season you shall reap a harvest of blessings." LAWTON: It’s not clear how much support Clinton could get among evangelicals. According to a survey last month by the evangelical firm the Barna Group, 67 percent of registered evangelical voters have an unfavorable view of Trump. But 81 percent of them have an unfavorable view of Clinton. I’m Kim Lawton in Canfield Ohio. With evangelicals—a mainstay of the Republican coalition—divided over whether to support Donald Trump, Kim Lawton reports that both Trump and Hillary Clinton reached out to that community through video messages to an important Latino evangelical conference. 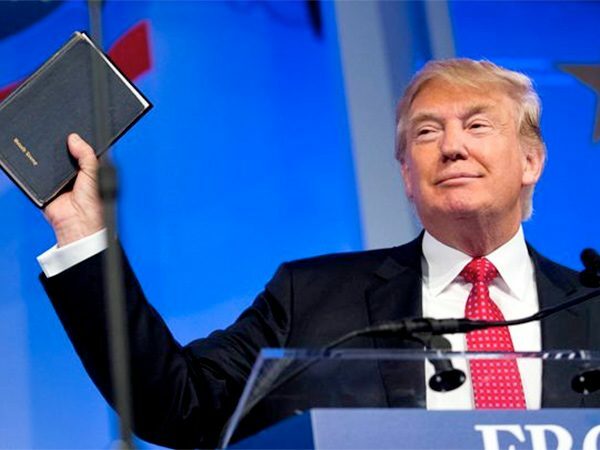 Lawton looks at how Trump is ramping up efforts to secure evangelical support and interviews Trump campaign liaison Frank Amedia, a religious broadcaster and pastor of Touch Heaven Ministries in Ohio.